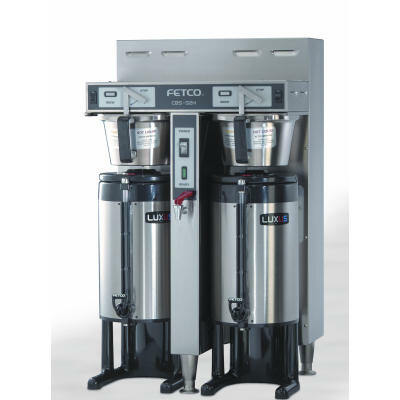 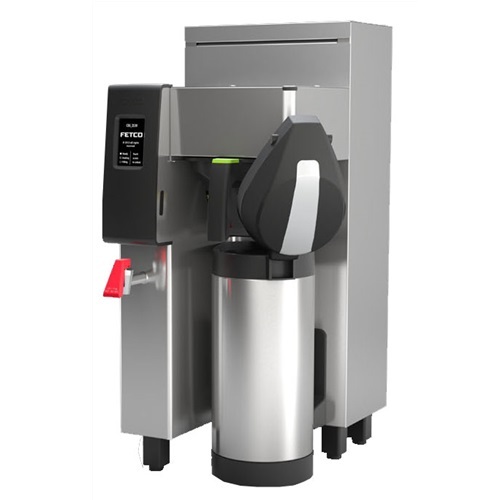 The Fetco CBS-52H-15 brews directly into the 1.5 gallon Luxus® Thermal Dispenser. 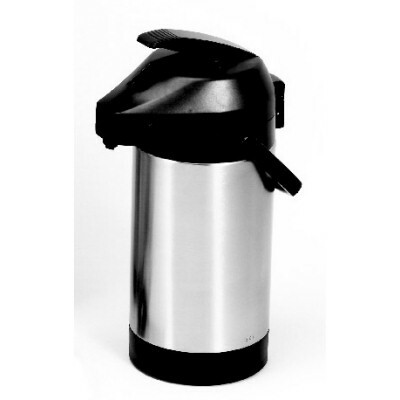 Patented Gravity Dispense Tube allows for consistent water volume per brew and is located above the water line when not in use to resist lime build-up. 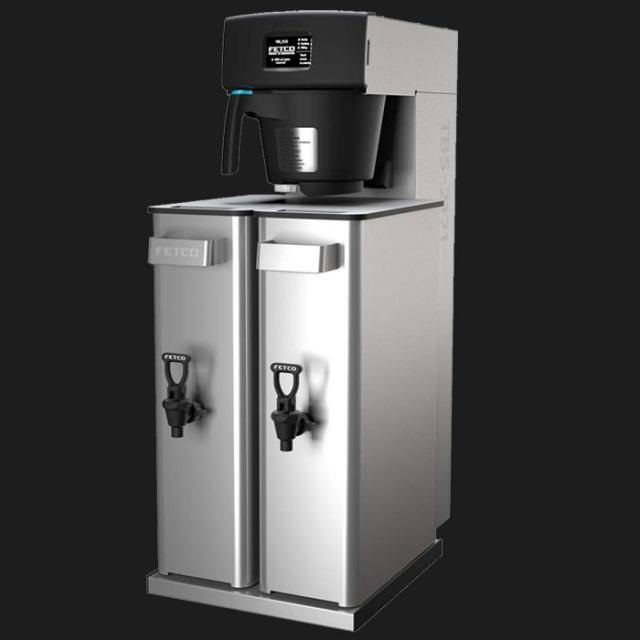 Dual brew basket lock incorporated into the start switch, constant water temperature during 100% of the brew cycle, and spray-over volume consistency.